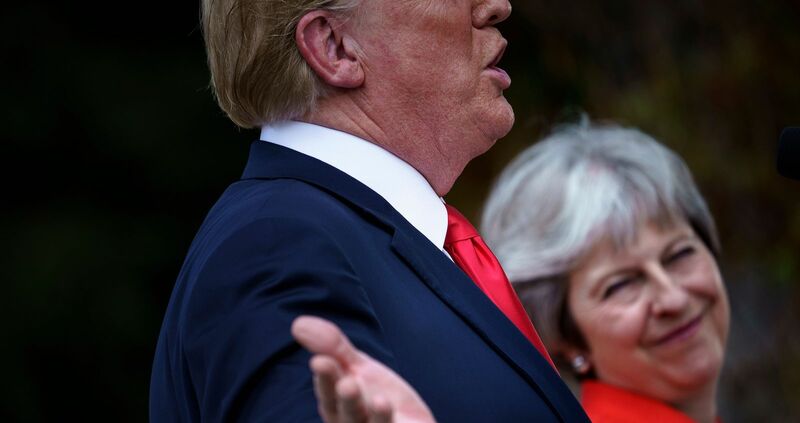 For those of us with an internationalist viewpoint, watching the Brexit process unfold in the context of the Trump Presidency has left us demoralised and despondent. In both cases, we see the rise of populism and demagoguery in great liberal democracies. We see chaos, a self-inflicted wound. And we worry about the diminishment of post-Second World War institutions that have improved economic outcomes for millions of people while promoting peace, security and cooperation. However, in order to plot a constructive path forward we need to place some boundaries around our internationalist angst. There were xenophobic and racist (and likely Russian) fingerprints all over the campaigns that brought us Brexit and Trump, but these explanations alone are inadequate. A consideration of the context in which Brexit took place provides a more reasonable picture of those who voted to leave and sheds light on the meaningful gap between democratic political leaders and their publics that needs to be addressed. French President Charles de Gaulle refused Britain’s application to enter the European Common Market in the 1960s because he claimed Britain was not sufficiently committed to the political goals of the union. There were other forces at play in de Gaulle’s refusal, but his perception that the United Kingdom would be a reluctant and troublesome partner was accurate. Two British political scientists, Roger Eatwell and Matthew Goodwin, published a book last year on populism that included an analysis of long-term trends in British public opinion. In polling conducted between 1995 and 2016, Eatwell and Goodwin found “consistent and widespread British support for dramatically rethinking Britain’s relationship with the EU”. British prime ministers either shared or at least reflected this wariness in their approach to the EU. Successive British governments (from different parties) negotiated with the EU to opt out of various policies and nurtured an ever-closer relationship with the US. That evolution of the EEC into the EU included a significant expansion in the number of member countries, the adoption of authorities in foreign affairs and rule of law and an increasingly complex bureaucratic structure in Brussels. In 2004, 10 new countries with significantly smaller economies joined the EU. The number of immigrants to the UK doubled at a time when UK household income was dramatically impacted by the 2008 financial crisis. In January 2013, Prime Minister David Cameron, concerned about the loss of Conservative voters to the anti-EU Independence Party, promised that if the Conservative government was reelected, he would hold a referendum on the UK’s membership in the EU. Cameron and most of the UK political establishment assumed that while the anti-EU lobby was noisy and gaining support, they remained a fringe element and UK voters would choose to remain. Once reelected Cameron negotiated some limits on the UK’s welfare responsibilities to new immigrants with the EU. These changes appeared small in 2015 as refugees fleeing impoverished and war-torn parts of North Africa and the Middle East flowed into the EU. The Leave campaign adopted a compelling the slogan – “Take Back Control” ­– that effectively aligned Britons’ historical wariness of the EU political project with more recent concerns around immigration, identity, and economic insecurity. The Remain campaign, led by the UK government, emphasised the economic risks of leaving the union. This argument persuaded some people to vote in favor of remaining, but polling also shows that some of those who voted to leave heard the risk message loud and clear. It’s likely they accepted the risk because they didn’t necessarily feel like they had much to lose. The campaigns that brought the Brexit and Trump victories home stepped into the void left by democratic political leaders that tend to reflexively support internationalist institutions and agreements without acknowledging the costs or effectively communicating the benefits. In the 2016 presidential election Trump voters also demonstrated a willingness to take a risk on the unknown, despite repeated warnings from his Republican primary opponents and Hillary Clinton. The Brexit and Trump victories highlight that democratic political leaders failed to appropriately respond to the domestic consequences of an increasingly connected world, both as policymakers and as communicators. Immigration has been a key concern for rank-and-file members of the Republican party since 2006. Trump simply conflated the threat of immigration with fears about job insecurity and international terrorism to box out his opponents. Economic insecurity taps our prejudices. However, there is no reason to believe that a deep unease about economic prospects translates into a lasting mean-spirited attitude toward people who are Muslim and/or toward people who are fleeing persecution, war or violence. The campaigns that brought the Brexit and Trump victories home stepped into the void left by democratic political leaders that tend to reflexively support internationalist institutions and agreements without acknowledging the costs or effectively communicating the benefits. As internationalists we need to be clear-eyed about what needs to be protected and what needs to be reimagined, and we need to build public support for these decisions.